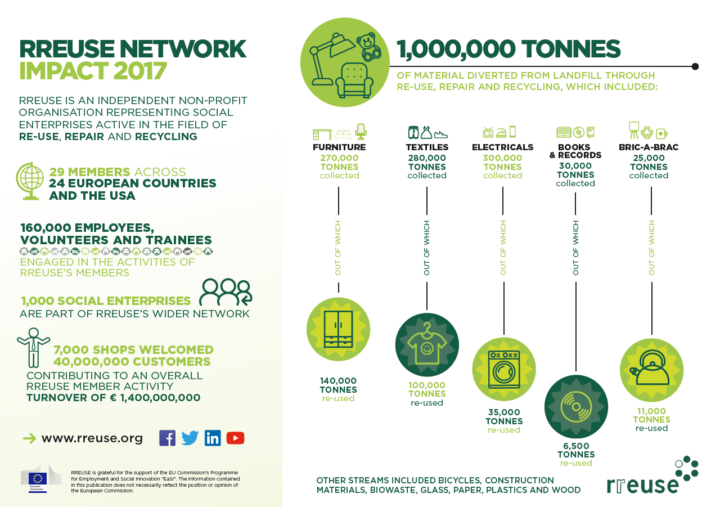 The 1,000 social enterprises making up RREUSE’s wider network diverted 1,000,000 tonnes of material from landfill through re-use, repair & recycling and engaged around 160,000 employees, trainees and volunteers. * The RREUSE Network Impact contains official updated 2017 figures. 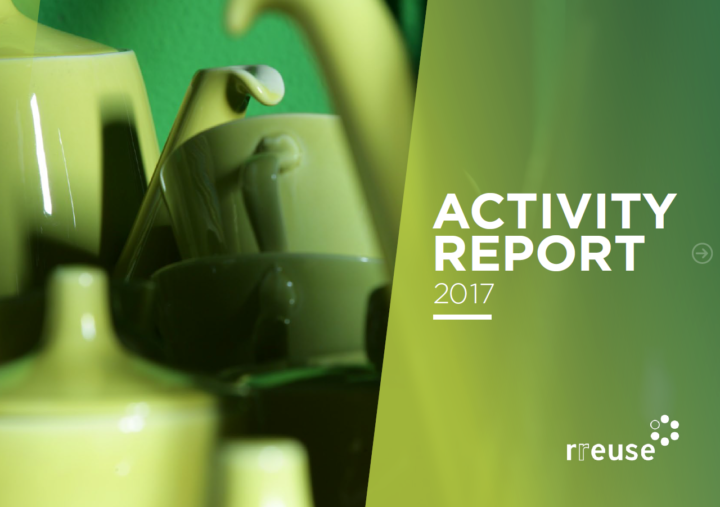 This data was not available at the time of publication of the Activity Report which explains the slight discrepancy between data presented in the two publications.